Build your team spending your salary cap wisely. Picking players for your weekly fantasy football lineups involves taking into account a lot of factors. Whether you win or lose will largely depend on how well you evaluate them. Player stats are important, of course, because they give you a high-level glimpse at a player’s past performance. Team stats are also important. An unconquerable offense means your quarterback, receivers, tight ends, and running backs are likely to have more scoring opportunities. Defense vs. position (DvP) stats are also important. A defensive lineup that’s strong against the run is going to make your RBs work harder for their points. And you need to consider the type of fantasy football contest you’re competing in. For example, are you playing in a head-to-head (H2H) or guaranteed prize pool (GPP) tournament? 50/50 or small-field league? Multiplier or satellite? Below, we’re going to take a look at each position. We’re going to discuss how they earn points and what to look for when drafting players to your squads. Along the way, we’ll also address factors related to the type of contest you’re playing and how that affects your draft decisions. Let’s start with your QB. You need a good signal caller to have any hope of winning. This is the guy who’s going to deliver the largest volume of fantasy points for your lineup. If he busts, so will your chances of beating the majority of the field. The top QBs come with sky-high salaries. That’s a challenge since you’re working with a salary cap. You have to be careful with regard to where you spend your cash. You might instinctively think the highest-priced passers will be your ticket to a payday, but that’s oftentimes untrue. The high salaries just mean you have to spend a lot of money to add them to your lineups. It’s worth noting that pro football has been a passing game for years. In the 2015 season, 12 QBs threw over 4,000 yards. Brees got close to breaking 5,000. The point is that you need a fantastic arm in that position. This doesn’t mean you should automatically draft the QBs who have the best pass completion stats. There are a lot of other factors to consider. For example, you need to think about the type of contest you’re playing. Consistency is an asset in a cash game (50/50, double-up, head-to-head, etc.). It’s less important in a GPP, where you’re hoping for a blowout performance. Also, look at the opposing team’s defense. Are they weak or strong against the pass? What are their rush stats? How much pressure are they likely to put on your QB? In short, you need a stud, but pick one who’s track record and skills complement the team he’ll be facing on game day. Running backs tend to be consistent from week to week. Rarely does one break out in terms of fantasy point production during a single game. Guys like Adrian Peterson and Doug Martin are dependable in that way; they can be counted on for consistent production. This is an important point because the top running backs, like the top QBs, come with high price tags. If you’re going to spend big at this position, you’ll want to know that you can count on your runnings backs to deliver. Touches are key at this position. You want guys who get a lot of opportunities to run the rock down the field. The more touches they’ll receive, the more fantasy points they’ll score. Other considerations are the health of the RB’s offensive lineup; whether his quarterback is inclined to make short passes and rely on the run; and whether he’ll be his QB’s target. If you’re playing a cash game, you want your running backs to have a relatively high floor. You want to have confidence they’ll produce a minimum number of points. Consistency at this position is a big help in that regard. In a GPP, the floor doesn’t matter. Instead, draft RBs who have a high potential ceiling – preferably, those who aren’t owned by everyone else. They’re the ones who are most likely to deliver breakout performances that lead to a payday. It’s worth mentioning that games scheduled to be played in the rain often give running backs more touches. Running the ball is less risky than passing it, so they tend to see more action. This is one of the reasons it’s a good idea to check the weather predictions for game day. Again, QBs and RBs are pretty consistent week to week. You can count on their DFS production based on their track records. The guys who scored the most points last week are the ones most likely to score big this week. Not so with wide receivers. There’s a lot of variance at this position. A pass catcher can have a tremendous night one week and completely lose his footing the following week. What does that mean in terms of drafting receivers to your weekly fantasy football lineups? It means you have to be extra careful in terms of where you spend your cash. As with running backs, receivers who get a lot of touches have more scoring opportunities. A high volume of touches requires that they’re the prime targets for their QBs. You want to draft receivers who are their QBs’ first choice for passes. Also, find out whether the receiver’s team typically runs or passes the rock. A passing game is where receivers get a chance to shine. A running game suppresses the number of touches, and thereby suppresses the number of fantasy points they can score. Many defensive teams are strong against the pass. It pays to fade receivers who are scheduled to face that type of opposition. The consistency you want in cash games simply isn’t there. As I mentioned above, there’s a lot of variance at wide receiver. Targets and touches will be your most important metrics. In a GPP, the high degree of variance is actually a positive. You want boom-or-bust players. That’s the only way you can hope to land a payday since the prize pool is distributed among the top 20% of the field. Only after you’ve slotted your quarterback, running backs, and wide receivers should you focus on drafting a tight end. You’re not looking for a stud in this position as much as you’re looking for good value. If you have the cash to pick up Gronkowski, do so. But realize he usually commands the highest price tag among tight ends – and for good reason since he’s a fantasy-scoring machine. But also note there’s a ton of variance at tight end. Gronk aside, it’s tough to predict how most TEs will perform week after week. It’s like the sales literature for a mutual fund that says “past performance does not necessarily predict future results.” That’s the case with tight ends. One of the most important stats to evaluate when drafting TEs is red-zone targets. When their offensive teams are inside the 20, will the TE you’re thinking about drafting be the QB’s target? Guys like the Jets’s Eric Decker, the Dolphins’s Jarvis Landry, and Texans’s DeAndre Hopkins led this category in 2015. The Vikings’s Kyle Rudolph and the Browns’s Gary Barnidge were likewise heavy targets inside the 10. Remember, more targets means more touches. More touches means more scoring opportunities, usually in the form of touchdowns. A high field ownership percentage shouldn’t scare you away from a particular tight end. If everyone else is slotting Gronk or another popular choice, it’s a good idea to follow the crowd. This isn’t a position where you want other team owners to outpace you in terms of fantasy point production. At least for cash games. If you’re competing in a GPP, feel free to change the script. Don’t spend a lot of money at tight end, even if the rest of the field is doing so. Conserve your cash for more promising plays at quarterback, running back, and wide receivers. It’s hard to get excited about drafting kickers in weekly fantasy football. DraftKings doesn’t even have a slot for one. Part of the problem is that kickers rarely deliver much in terms of fantasy point production. Another issue is that their production is completely unpredictable. You can never feel confident that the kicker you’ve drafted – if you’re playing at FanDuel – will put the ball where it needs to go. In my opinion, spending big at kicker is just short of crazy. Sure, Stephen Gostkowski of the Patriots is a solid performer, delivering more than his share of field goals and conversions. But do you really want to spend $5,000 to add him to your lineup? That’s a lot of cash. It’s usually a good idea to reduce your spend at this position. Here’s my advice: look for a kicker whose offensive team has no trouble getting the rock inside the 20, but sometimes flubs touchdown opportunities. When you slot a defense for your fantasy football lineup, the most important thing to take into account is the matchup. 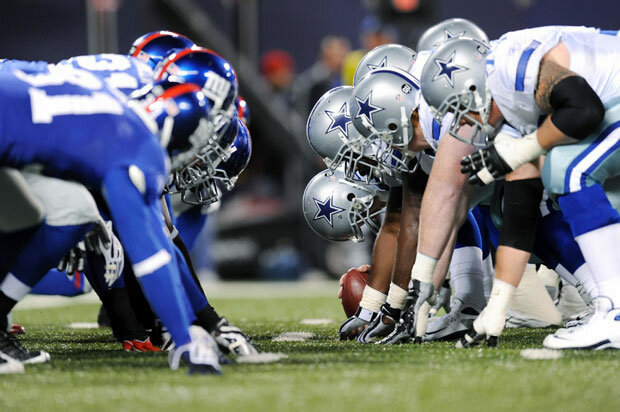 How does the opposing team’s offensive lineup measure up? I think it’s a mistake to target defensive teams based solely on their records from past seasons. The reason? Because it’s difficult to anticipate turnovers, especially against a strong offense. For example, everyone knows the Broncos and Seahawks have great defensive lineups. But that doesn’t mean they’ll do well against teams with strong offensive lineups, such as the Cardinals, Saints, and Steelers. Here’s my advice: find a solid, mid-priced D-team scheduled to play against a weak offense. Leverage that advantage and save your cash to slot other positions that will have a greater impact on your squad’s fantasy point production. DraftKings Vs. FanDuel: Where Should You Build Your Lineups? Personally, I enjoy playing at both DraftKings and FanDuel. Both offer a ton of contests, an easy-to-use interface, and lots of exciting promotions. 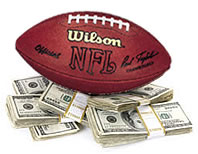 By the time the NFL season is in full swing, you’ll find several huge promos with millions of dollars up for grabs. Visit both DraftKings and FanDuel today to set up your accounts (if you haven’t already done so). Then, jump into the fantasy football action!